Love the pictures! And the dress! Where is it from? I’m looking for a similar one! Piknie wyglądasz! Tło też super! so pretty! the back of the dress is so pretty, and I love the portobello houses. awesome photo / love the dress ! So pretty! I love Portobello! This dress is beautiful! 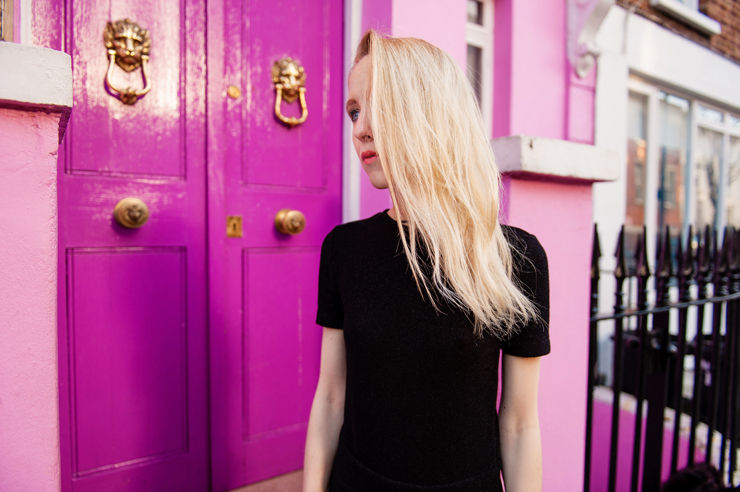 Perfect little black dress, and i love the photos in front of the pink house! suchhhh amazing shots! in love with this and your dress! Basic black against the pinkest of pink…so gorgeous. Amazing dress! I love Portobello!! The quality of your photos is AMAZING! that back of the dress! OMG I SO LOVE THE DRESS!! Wow, amazing!!! I have no words!!! Great dress, I love ZARA!! !